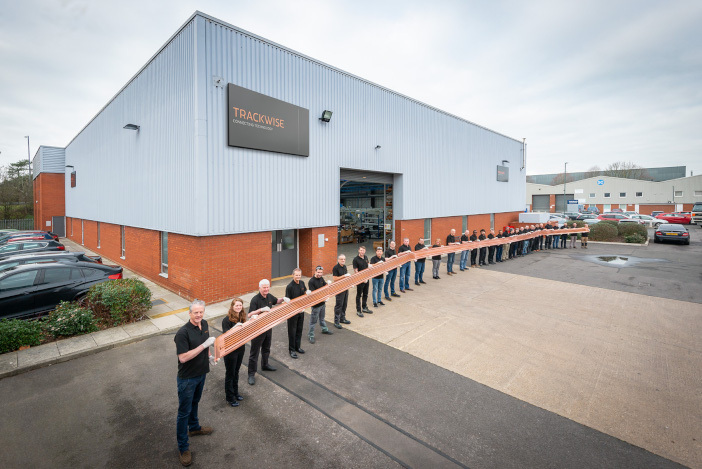 Printed circuit supplier Trackwise has produced a 26m (85ft) long multilayer, flexible printed it claims is the world’s longest ever produced, for distributing power and control signals across the wings of a solar-powered drone. The flexible printed circuit (FPC) is one of more than 50 supplied by the UK-based company for the drone. The entire interconnect system of the vehicle is made of FPCs, representing an estimated total systems weight saving of 60% compared to the use of traditional wire harness, says Trackwise. The weight-saving will enable the drone, which is being manufactured in the USA, to achieve higher payload and/or improved speed and range. Trackwise’s FPCs are made using a patented, reel-to-reel manufacturing technique that enables the company to produce FPCs of potentially unlimited length. The FPC is based on a polyimide substrate. Testing has shown that the planar structure of the circuit dissipates heat better than conventional wiring, enabling higher current carrying capacity for a given weight of copper conductor.